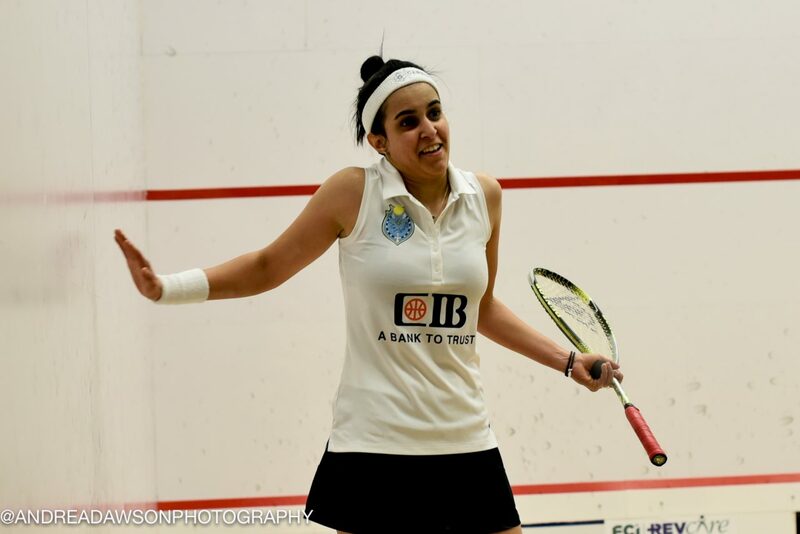 Top seeds Nour El Tayeb and Tesni Evans will contest the final of the Cleveland Classic after beating Alison Waters and Victoria Lust in the semi-finals. Egyptian El Tayeb overcame Waters 11-9, 11-9, 11-2, while Evans fought back after losing the opening game to win 4-11, 12-10, 11-8, 11-4 as Lust struggled with an ankle injury towards the end. Game 1: Feeling each other out 7-7. Nour with good length making openings and taking advantage of them 11-9 game to her. Game 2: Intensity ratcheting up. Not much separation between these two, but once again good length leads to openings for Nour. 11-9 game to her. Game 3: Nour has the wind in her sails. She moves from 3-0 to 6-1 and powers through to 11-2. Game 1: Lust came out firing. Evans struggled to contain the Lust and taking a while to find her rhythm. Lust cruises to 5-1 lead, only giving up three more points to finish the game 11-4. Game 2: Evans had to fight for every point. Lust, very light on her feet, defends exceptionally well, getting to everything. Evans opted for a deep game, reduced errors and eventually took game two 12-10. Game 3: More grinding from Evans – she kept the ball in the back court for the most part, played very neatly forcing Lust to make her own luck. Game stays close, Evans also takes this one – but just! 11-8. Game 4: Evans starting to find her rhythm and covering the court with greater ease. Lust ups the tempo, introducing and re-introducing Evans to every inch of the court. An ankle injury for Lust signals the end for the Englishwoman. The game ends 11-4. The crowd gives Lust a well-deserved round of applause, acknowledging her grit and sportsmanship for playing the match through past her injury.